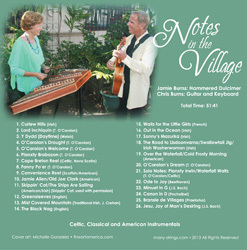 Beautiful American, Celtic, and Classical Instrumentals. Jamie: hammered dulcimer, Chris: guitar and keyboards. Many-Strings, San Diego, CA. 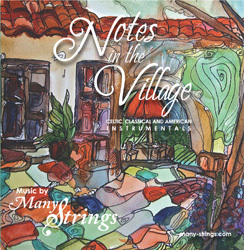 The Notes in the Village CD is available for purchase. $10.00, plus $4 postage and handling. Email us at chris@many-strings.com for assistance. 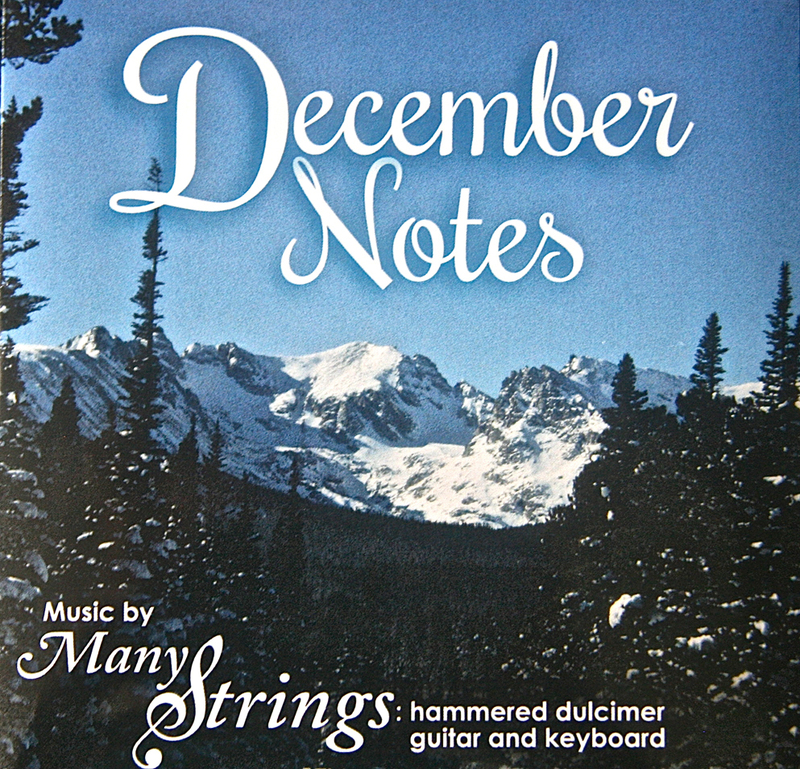 Gorgeous instrumentals of the notes of December, including Christmas carols, winter-themed instrumentals, a melodic celebration of Hanukkah, and early American seasonal carols. 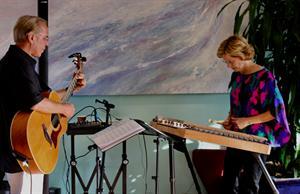 Hammered dulcimer, guitar, and keyboard. 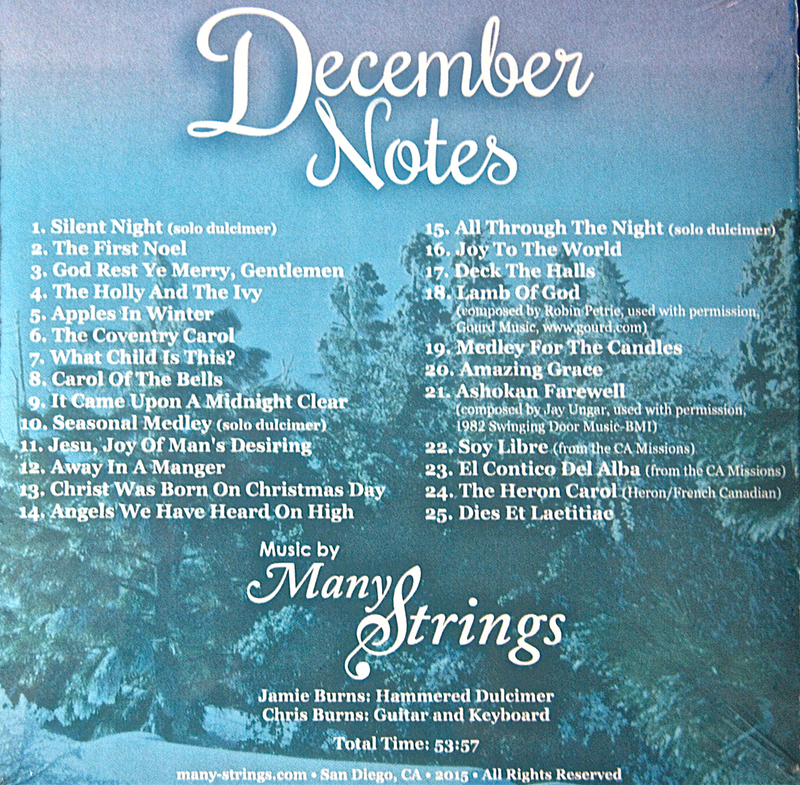 The December Notes CD is available for purchase. $10.00, plus $4 postage and handling. Email us at chris@many-strings.com for assistance.